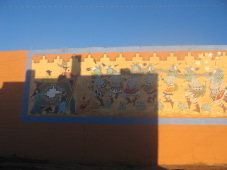 Blocks of shadow, yellow sunlight, blue skylight. 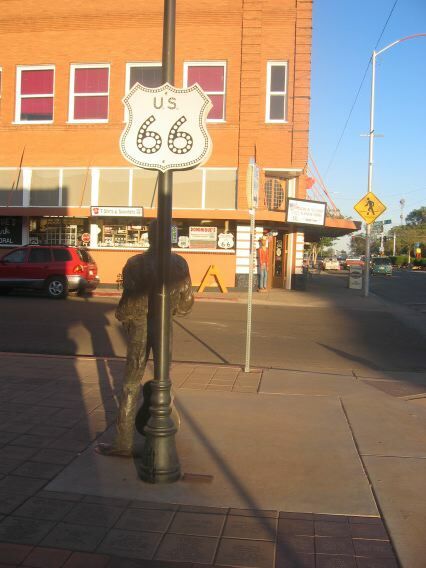 This is the happenin' corner in Winslow, Arizona. 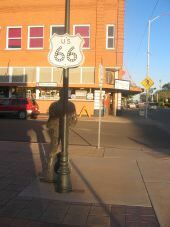 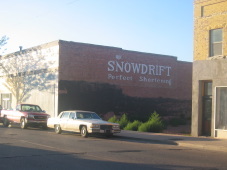 You can buy tshirts that say "I slouched on route 66 in Winslow" or something or other, as if some unavailable magic of a retired highway 66 might be coaxed to shine just a bit longer on the people in Winslow today. 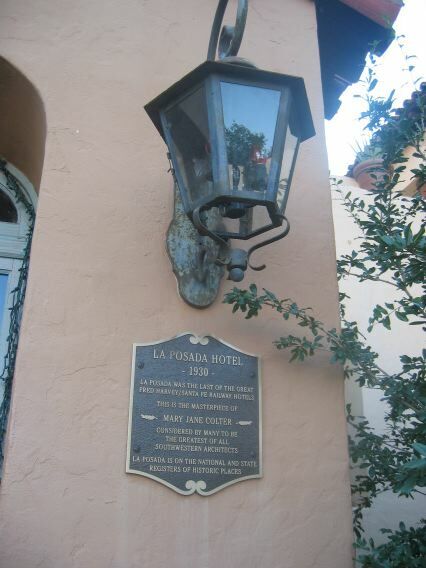 La Posada Hotel, on the National Register of Historic Places. Mary Jane Coulter was the architect in 1930: "considered by many to be the greatest of all southwestern architects." 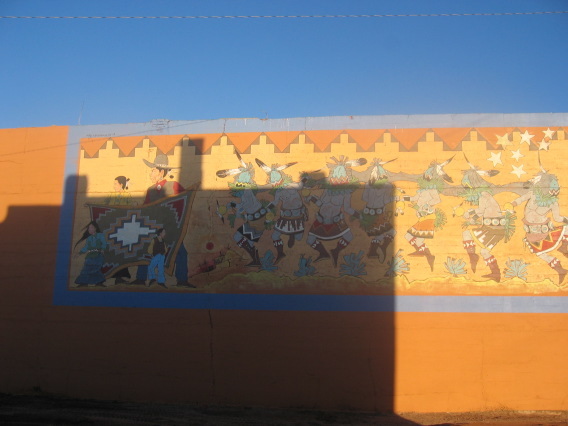 La Posada is in Winslow; I drove from Phoenix to Winslow the day I arrived, checked into La Posada, langorously covered the two-blocks-each-way downtown area, and had a great dinner of squash blossoms and beets. 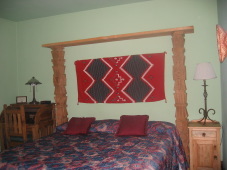 My room at La Posada. The hotel is furnished with antiques, for the most part, but the individual rooms have handsome but not antique furnishings.